The Society of Cinema and Media Studies has established an online series of interviews with film scholars. 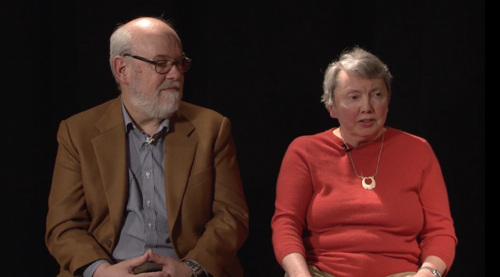 In these conversations, distinguished contributors to academic film history, theory, and criticism review their careers and sum up their main ideas. Thanks to Charlie Keil’s initiative, we participated in one such session here at Madison, back in May. The result is here. Under Charlie’s guidance we discuss how we got interested in studying film, how we conceived and wrote Film Art: An Introduction, and how we developed later research projects, including The Classical Hollywood Cinema, Narration in the Fiction Film, Breaking the Glass Armor, Making Meaning, The Frodo Franchise, and other books. We talk about “neoformalism” and its relation to continental structuralism, as well as strategies of film analysis, the importance of norms, the roles of institutions in shaping film history, and cognitive film theory. 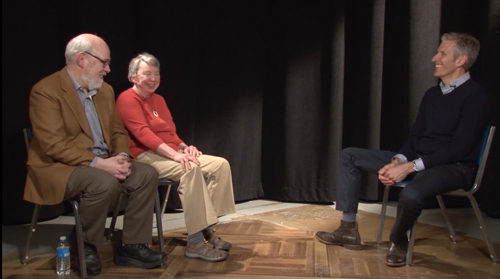 We touch on the history of Wisconsin film studies and the central role of Tino Balio, Douglas Gomery, and Janet Staiger in shaping our thinking. We also talk about “overachieving” textbooks and our efforts to reach out beyond academic readers, especially via the Net. Charlie skillfully fits what we tried to do into broader trends in academic film studies. He highlights our frequent returns to studying Hollywood as an artistic and industrial reference point. He even brings up Kristin’s Egyptological research. There wasn’t enough time to survey all our interests, of course. There’s probably too little on our most recent work; if you want to dig more into our ideas, the published work and our writing on the blog are more informative. And there aren’t enough jokes, at least deliberate ones. Still, we hope some of you will find this discussion of interest. Thanks not only to Charlie Keil and the SCMS people coordinating the Fieldnotes series, but also to Madison’s own Eric Hoyt, Chelsea McCracken, and Erica Moulton for shooting the interview. This entry was posted on Monday | July 10, 2017 at 8:34 am	and is filed under Film scholarship, UW Film Studies. Responses are currently closed, but you can trackback from your own site.